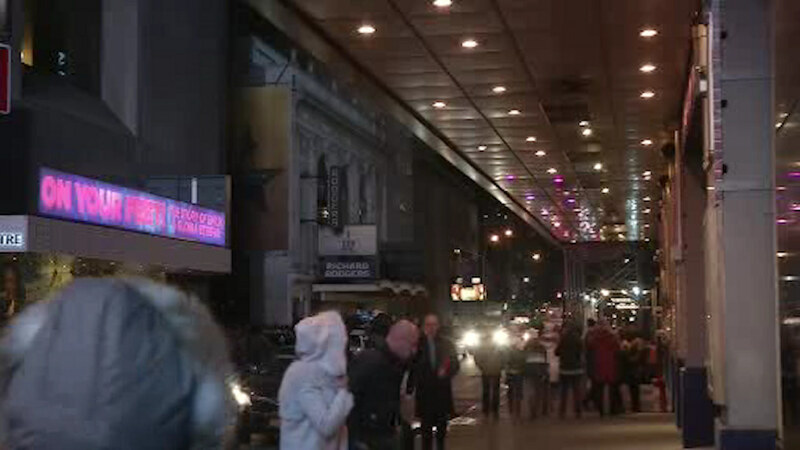 NEW YORK (WABC) -- The lights of Broadway went dark Friday evening in memory of Debbie Reynolds and Carrie Fisher. The marquees went dark for one minute at 7:45 p.m. The mother and daughter both made their Broadway debuts in a 1973 revival of the musical comedy '"rene". They were laid to rest together at a Los Angeles cemetery Friday. Fisher's ashes were put in her favorite possession, a giant porcelain Prozac pill.